Festive Foodie Friday is back for 2016! 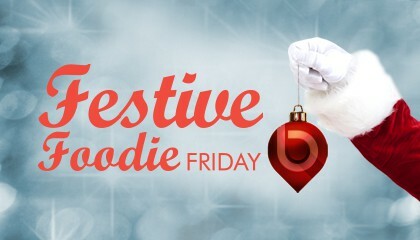 The original Festive Foodie Friday is back…..and better than ever! On Friday 16th December from 12 – 2pm, we have a range of fantastic street food , Christmas treat sellers and the big man himself! Santa Claus really is coming to town…and all with the back drop of the fine-tuned tones of the Blythe Valley Park Chorus. You’d be mad to miss it! Come and join us at the Blythe Valley Park lawn and get your festivities off to a fantastic start! Click read more to see which traders we have coming along. Café 2 U – Winter warming hot drinks. Sticky Fig – Slow cooked pulled pork and beef with homemade slaws and pickles to accompany. Big Daddies – Delicious gourmet hot dogs served with a variety of toppings. Fat Breads – Warm breads filled with chicken shawarma and juicy lebanese beef kebabs. Mrs Patels – Authentic indian food. The Hungry Penguin – Sweet or savoury pancakes. Dumpling King – Serving homemade steaming dumplings with a range of fillings. Santa Claus will be visiting us this year from 12.40pm – 1.10pm – catch him and get your Christmas gift! Christmas jumpers and silly hats are encouraged!